Keelo and Koda are just a bundle of smiles and cuddles. Koda was rescued from some bushes about a month ago. …but this cute duo totally proved everyone wrong! They’ve been practically attached at the fuzzy hip ever since they were introduced. They’re pros at playtime now! They can hang out anywhere and know they’ll have a total blast – because they’re together! Nap times are a total breeze, as long as Keelo looks out for the little guy. Koda’s definitely got his eyes on the prize — cuddling! They both get a little worried if the other’s too far away for too long, but they always make up for it with a quick nap. Just like any other besties, these two fluffs take on the world together! 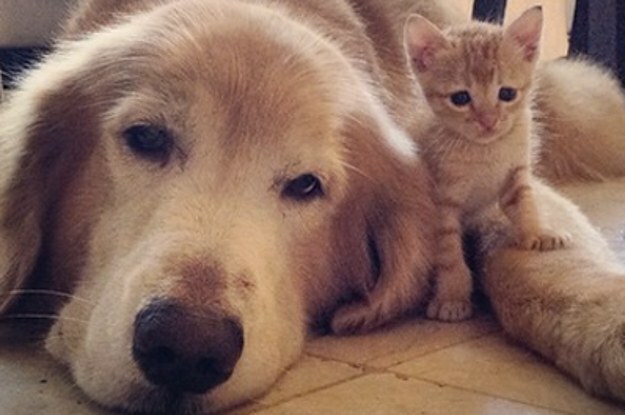 It just goes to show: family comes in all shapes and sizes! Maybe this holiday season, a little one in your area could use a new home, too!